In the summer of 2002 I was invited to visit friends in SOCAL, San Diego and stay a week. I had access to a car and could wander as much as I desired. 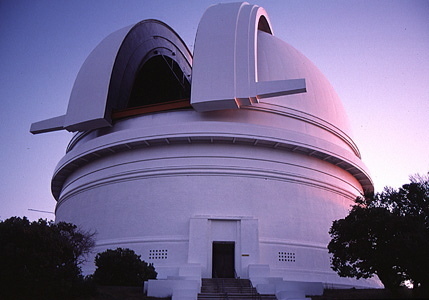 One of the many highlights of my week was driving up Mt Palomar Mountain to the Hale Telescope. I had no idea the dome was so huge. Once I parked the car I wished I could have stayed until nightfall, but I had to return by evening. I took many photos and got to go inside the dome.